Pancake Day, also known as Fat Tuesday, Shrove Tuesday and Mardi Gras, is the Tuesday before Lent, the period of fasting and prayer that preceeds Easter in many Christian traditions. The idea behind the day is that people went out of their way to indulge in certain foods that they would not be able to eat during Lent. These foods include butter, milk and eggs – and what better way to use up butter milk and eggs than with a few batches of pancakes! Whether or not you celebrate Lent, I’m always up for an excuse to eat breakfast dishes for dinner and that makes Pancake Day a holiday everyone can get behind in my book. 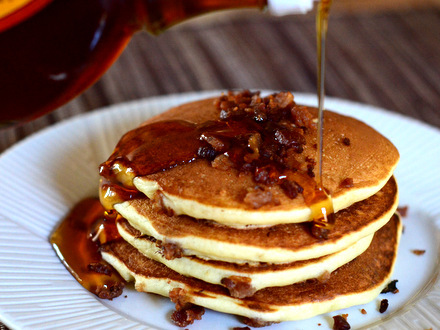 Buttermilk Bacon Pancakes are both sweet and savory, as these tender buttermilk pancakes are packed with crispy bits of smokey bacon and are then served with plenty of real maple syrup. These pancakes are always a hit in my house, where we love salty-sweet treats. Pineapple Upside Down Pancakes are beautiful to look at, as each one is made with a caramelized ring of pineapple in the center. 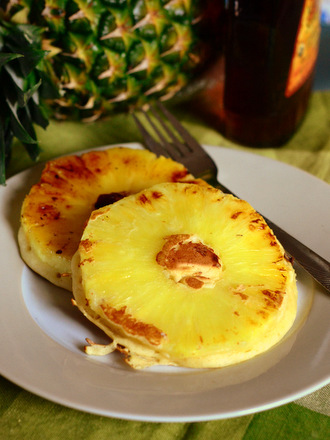 These pancakes have a tropical feel to them, whether they’re made with fresh or canned pineapple slices. Fluffy Ricotta Pancakes rise high as they cook, thanks to beaten egg whites that give the batter a souffle-like lightness. A generous amount of ricotta cheese is used in this recipe and gives the pancakes their soft and tender interior. 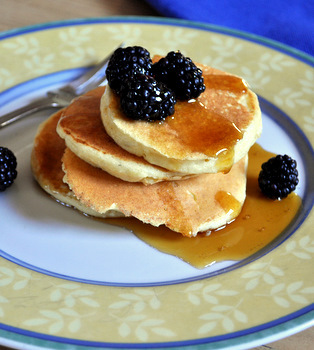 Gluten Free Buttermilk Pancakes are made with a gluten free all purpose flour blend. They have a delicious buttermilk and vanilla flavor, just like regular wheat flour pancakes. 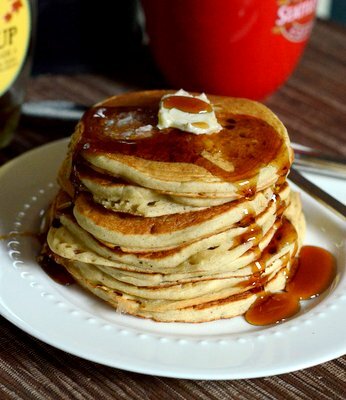 Fortunately, maple syrup is gluten free, so don’t forget to serve it along side a tall stack of these. 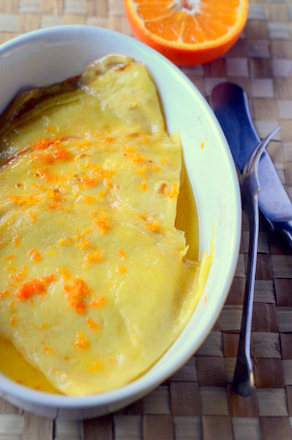 Crepes Suzette are a traditional French dish made by cooking crepes in a buttery orange and Grand Marnier-infused sauce. 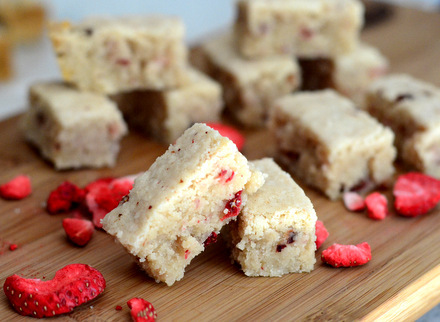 The steps of the dish are easy and the result is an impressive and delicious dessert. French Ham, Cheese and Egg Crepes are another wonderful savory pancake dish. These flavorful crepes are made as street food at many locations in Paris and I’m sure that I’m not the only tourist who has fond memories of eating one while looking at the Eiffel Tower. But you don’t need to go to France to reproduce the recipe at home!